I was up in the mountains in a Remote location in Weitchpec California visiting friends around August 2009. During my month on the mountain, I observed almost every single night red, blue and yellow orbs almost like clockwork, right after nightfall flying around over the river below. One night I was waiting for my friend to come back from the coast when I was sitting outside stargazing. I felt a rumble of sorts in the ground all the sudden I started to see lights coming through the trees to the left of me above the cabin I was staying at. All the sudden it was above me. 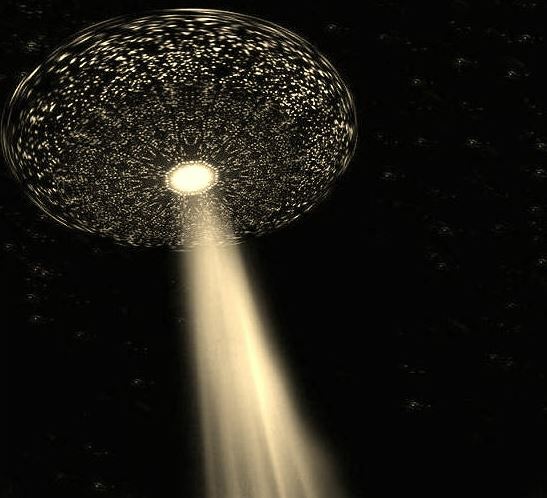 It was a rotating UFO covered with lights of every color that you could imagine. Just as quickly as I realized it was overhead directly above me I experienced a lapse of time. 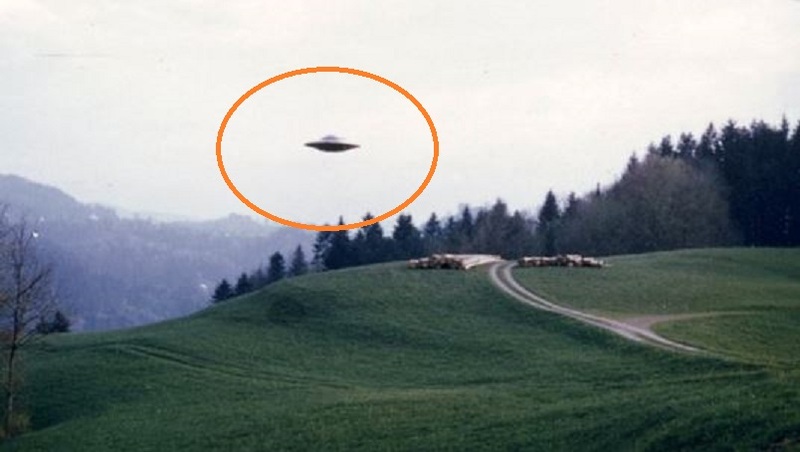 The next memory I have was my dog staring up at the sky next to me barking as the UFO slowly moved out of my sight to the right over the tree line. A few seconds later my friend, who has been waiting for, drives into the clearing where I was. She jumped out of the car while it was still running asking me if I heard or saw something flying. I told her what it happened and she said that was all that normal in that area. Honestly I feel as if I have been seeing them, no matter where I’ve gone since then. NOTE: The above image is CGI. 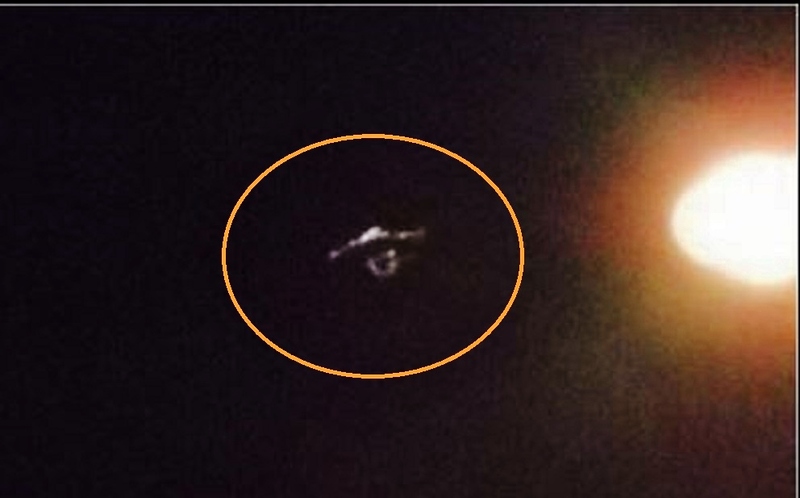 This case is under investigation by State Section Director Glenn Green of MUFON New Jersey. In September of the following year a series of sightings of a similar craft was witnessed by students and staff members of a school in Matanzas, a neighbour Province of Havana. One night around midnight a group of girls were gathered in a section of the dorm chatting while watching the stars through the window. Suddenly a gust of wind rushed through the windows’ openings and a humming sound was heard as a bright light illuminated the whole dorm. A craft was seen cruising horizontally slowly close to the building with a red and white lights flashing in some sort of sequence. The girls were running across the room franticly peeking at the windows to get a better look at this craft. They describe it as elliptical in shape from its side view. They knew that this craft wasn’t the usual man made aircraft like an helicopter due to the lack of noise considering how close it was flying from the building. Also they discarded an airplane due to the hovering capabilities of this craft. During the next two nights this craft seemed to coming back to scout the area and was witnessed every single night by the students and staff of the school. Some of the students were able to get a closer look of this craft while flying over the building. They described it as metallic and silver in colour, round in shape with a circular array of light around its perimeter. The lights configurations varies from red and white to blue or red and white, all flashing in sequence. A student notice some lines under the bottom of the craft that was following a radial pattern. One of the interviewed students stated that the craft was similar to one that she saw in earlier years, when was flying over by Cardenas, another town in the Province of Matanzas. NOTE: The above image is CGI. Chad Haines says he’s the last person who might believe in aliens, extraterrestrials or UFOs. But after witnessing an unidentified flying craft near his house early in 2016, he can’t explain what else it could’ve been. While deleting some images off his camera this past week to make space in preparation for Christmas morning, Haines stumbled upon some photos he took the night of Feb. 23, 2016, from his Bayview Road home. Reviewing the photos once more, he still couldn’t find a rational explanation for what he saw in the sky. The original, unaltered version of the photo of the unidentified flying object taken on Feb. 23, 2016. From the street, looking across the water toward Random Island, Haines saw a hovering object near the moon.“It was out there for two or three hours,” Haines told TC Media today. He says, after staying in the same spot, the object moved up and down and shot off out of sight quickly. Haines was able to capture some photos on his camera of the unidentified flying object appearing over the water. There were no stars in the sky that night, he says. He says it wasn’t a plane and it was far too big to be a drone. Like others, Haines has seen videos and reports of strange sounds, beams of light and other phenomena, but says anything could have made those effects. But now, after witnessing and capturing an image himself, he’s unsure about the existence of the unexplained. “I couldn’t believe it,” he said of his experience. 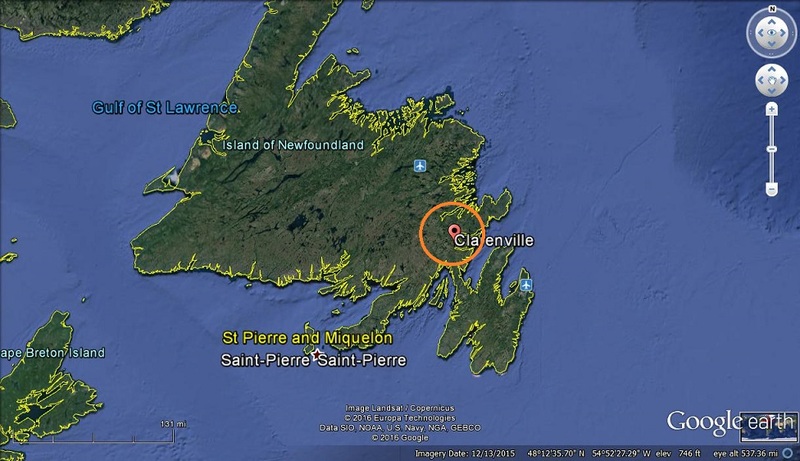 This isn’t the first time people have reported UFOs over Random Island. In October, 1978, RCMP Const. Jim Blackwood was one of dozens of locals who spotted what they believed to be a UFO hovering over Random Island. On the night of 8 March 1993 Erwin Lohre, an artist and former military pilot, was sleeping at his family home in Braunschweig, north-central Germany. At around 12:30am, he suddenly awoke with a stabbing pain in the area of his spine. “I at once took a painkilling tablet and lay down again,” he recounted to Dr. Peter Hattwig, a UFO investigator. “Meanwhile, my wife had also awakened simultaneously.” Suddenly, we heard a clear humming sound coming from the sky. 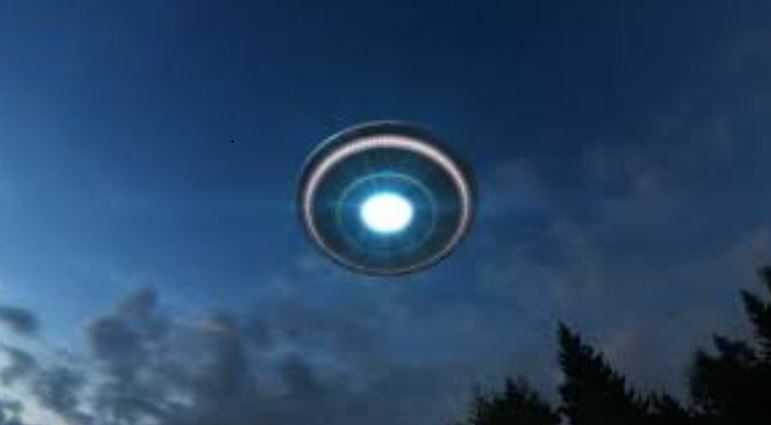 After three or four seconds this noise, which seemed “metallic”, as though produced by a centrifugal force, grew louder, and then, through the bedroom window, we saw a bright round shining object stationary at a height of some 10 metres or so above the birch trees to the east. There was a full Moon at the time. But despite that, our bedroom and terrace outside was lit by something even more powerful than the moonlight – a bluish- white colour like neon lighting. At the same time we both felt a strange metallic sort of taste on our tongues. Up till then I had scarcely given a moment’s thought to UFOs, but it was now quite clear to me that I was looking at an unknown flying object, and I said to my wife: “Look! See what it is! They are going to land here!” Being a former fighter pilot myself, I wanted of course to see what was going on. But when I tried to stand up, I found that I could not move, and for my wife it was just the same. Also our two kittens, which sleep on the foot of the bed, were both sitting there, both upright, and looking as though they had turned to stone. Meanwhile, our bedroom window was being bathed, on and off, in a bright yellow beam of light apparently coming down from above. I didn’t get frightened because I was so completely spellbound. Indeed, if anything, my feeling was rather one of annoyance because I was immobilized and unable to get to the window. But afterwards, my wife had a thorough fit of the shakes. The eerie apparition lasted altogether about 40 seconds or so, and then the vivid light ended abruptly. Then, some 30 or 40 seconds later, we saw the UFO fly over our bedroom window in a westerly direction and vanish. Simultaneously the paralysis ended for both of us. My wife was too upset to be able to sleep anymore, and so was I. Then, about half an hour later, we heard the same sound again, coming from the other direction. Our bedroom has windows on the two sides, and so we got a full view of the UFO for the first time. From a distance of about 300 metres, we watched it flying straight towards us. Again we heard the same sounds as before, and for about six seconds or so we could see its shape absolutely clearly. The craft was shimmering with all the colours of the rainbow … the cupola was a bright, shining silver. The underside had three coloured apertures and a central light. Then, just as the disc – which I estimated to be about 10 metres wide – was nearly right over us, something quite unbelievable happened. It simply dissolved into thin air – between one-tenth of a second and another – and it was gone, without any transition! Dr. Hattwig asked Lohre what was his explanation for the little black things and the latter had none. Dr. Hattwig asked: “Have you ever heard anything about UFO abductions?”. Lohre eyed Hattwig with an unbelieving look. As he was to admit to him later, such an idea was utterly new to him, and up till then he had never heard of anything of the sort. But later on Lohre replied: “I did indeed read about it later on, and I did play around for a while with the idea of undergoing hypnosis, but so far I haven’t taken that step.” This was a wise decision on Lohre’s part because regression hypnosis is known to be very unreliable. NOTE: The above image is CGI. Strange object seen above Long Island, NY, that I cannot explain. I was standing in the kitchen with my wife, looking out the window, as I often do, when I noticed a strange object in the sky. I immediately knew I was seeing something that I do not see regularly, but as I watched it, I became fascinated. 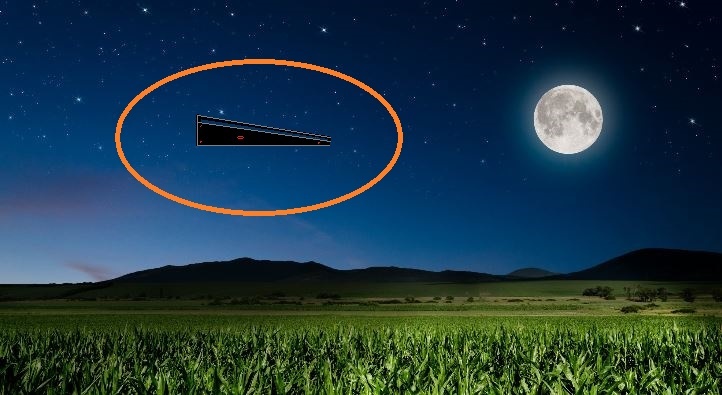 I quickly went outside and watched what appeared to be a pyramid like shape, very dark, possibly metallic black in color slowly hovering towards us. I was thinking drone at first but it seemed too high up in the sky to be anything controlled from the ground. It continued to move toward us slowly, and I couldn’t take my eyes off it for a second. I thought maybe it was some kind of strange helicopter (it seemed to be about that size) and I thought I could see some kind of swirling above it, but I could not focus on anything for sure. I then noticed two very small objects hovering around it. One stayed kind of below it and the other to the right of it. They would seem to change distances from the object, but never move to far towards it or away. These objects were coming out of the east and then turned and started moving higher into the sky and north. I thought I saw it wobble a bit before it headed north. The smaller objects also looked very dark, black and would occasionally glint like metal from the sun for a second, just as the larger pyramid like structure did. As it began to climb and head north, it appeared to have an energy bubble around it for a few seconds. It was light blue (cyan) circle of energy around it and my heart started racing when I saw this. It was quite visible first and maybe a minute later I saw it again but very faint. As it continued North, It made no noise at all. It continued North until it faded from my vision. My wife ran to get my binoculars but by that time it was very distant. She wears glasses and did not have them with her, so was unable to see any details. I don’t know what I saw, but it was very strange. I keep thinking it could have been some kind of very elaborate balloon, but it feels like my rational mind is just trying to make sense of it. I’ve never seen anything in the sky even remotely like this and I hope that some of the other millions of Long Islanders have seen this and can give more information. I love to hear your updates each week on Coast to Coast, but I never thought I was going to see anything to report, but I quickly thought of you afterwards and felt it was my responsibility to report this, even if it was just some hoax. I’m sorry I didn’t take any pictures but I couldn’t move and I don’t carry my phone around with me. I hope my report is of some use to you! I hope someone took pictures! Keep up the great work and keep looking up! NOTE: The above image is CGI. This is what I dictated into my phone just after viewing it. I am reporting this because I could very well have simply misidentified this, but am very visual (life long artist) and this was unusual. I think I saw a UFO over Cleveland. It was heading directly south and it was 10:21 PM on Tuesday night. I’ll look at the calendar to figure out what day of the month it was. At first I saw it coming, it was traveling slowly and was not that high up in the air and it was an unusual constellation of lights so I grabbed my iphone and I thought I should take a picture of that whatever it is and then it got closer and I got closer and we were converging right over the interstate interstate 90. As it got closer and closer I thought it might be a group of helicopters. But they were in too tight of a cluster. I saw a constellation of lights that were in than abstract sort of triangular form. As the craft got closer, I kept looking up and I saw that there was a slightly lighter color to the body than the dark sky. There were lights on all three corners and in between the corners with a dazzling white bright bright light. On the bottom there was a flashing red light ` at least one maybe they were alternating from different positions on the bottom. The Craft was traveling very slowly. It was probably 4 to 6 telephone poles off the ground` not regular telephone poles but the kind of tall ones that are along the interstate. 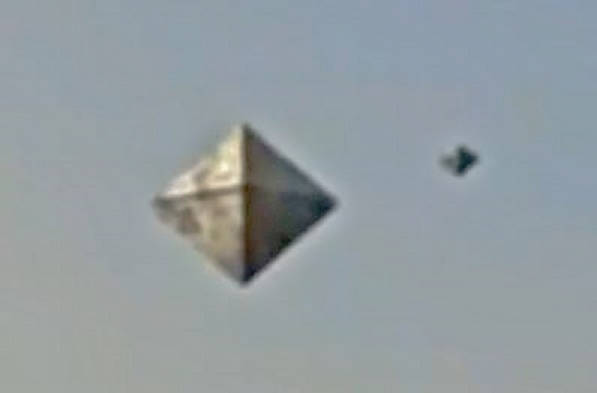 If this craft was indeed triangular, it appeared to be traveling backwards away from the point. There was an aspect of this triangular pattern that was a little bit hard to comprehend. The lights seemed to be pointing toward me, not so much at me but so bright that it looked like they were pointed at me, although it was not pointed at me at all. That’s how dazzling the lights were. 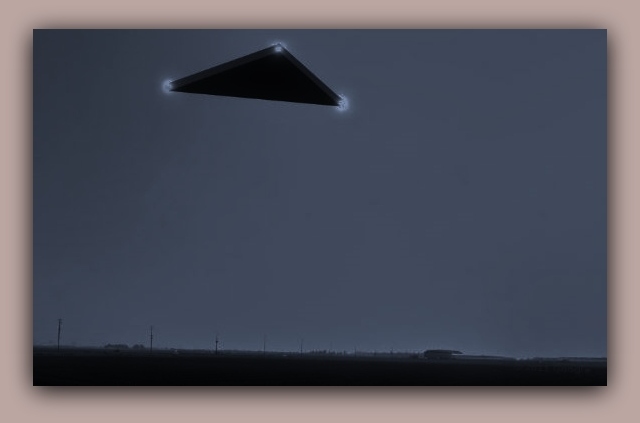 As the Craft approach the highway before it crossed over me I thought it could be a structure a linear structure like I-beams or something that have lights along it and it was not a flat triangle. It appeared to be have a flat aspect but the front seem to be folded a little making it like two long skinny triangles but only in the front. I did not feel any unusual feelings outside of disbelief. I racked my mind trying to figure out what it could be other than a craft. It was not that high off the ground. As an artist my life profession is about looking and seeing. I’m very articulate and I’m able to describe things well. I worked as a carpenter for 30 years and I have a pretty good sense of dimension. I would guess this craft was between 40 and 60 feet long. Of course perspective could have thrown all of this off. Of course everything about this could be incorrect. But if it was what it appeared to be, I saw something quite remarkable and would like to know if anybody else saw the same damn thing. 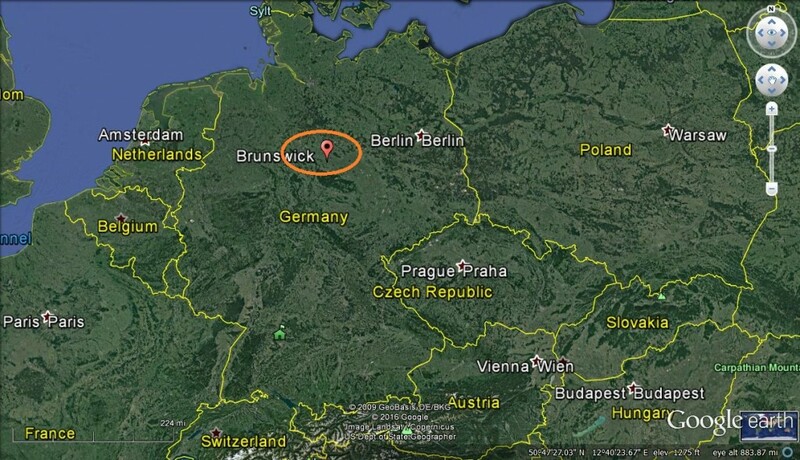 I am most curious if there were OTHER reports of this thing. It HAD to have been seen by many others because it was so low and moved so slowly and was over a very very populated area (edge of cleveland.) and lastly, and strangely enough, I have been struggling to photograph my drawings and for some reason they will not photograph. I have NEVER had a problem with taking photos on my phone. very strange. NOTE: The above image is CGI. My fiance and I were watching a television show that started last night, March 8, 2015, at 11:00 PM. Sometime around 11:15-11:30PM, while sitting on the couch watching the show, I saw something outside the window to my right. Immediately upon looking at it I realized that I had never seen something like that in my life. It was an aircraft, perfectly triangular in shape, with all sides a straight line, with a light in each corner, flying very low and relatively slow over my town which is approximately 10 miles from NYC. The aircraft was heading east towards the city. I jumped up onto the other couch to get a better look out the window. The aircraft appeared to be flying at a very low altitude, but probably still over 1,000 feet in the air (maybe even quite a bit more) and was low/large enough for me to see the craft itself, not just the lights. 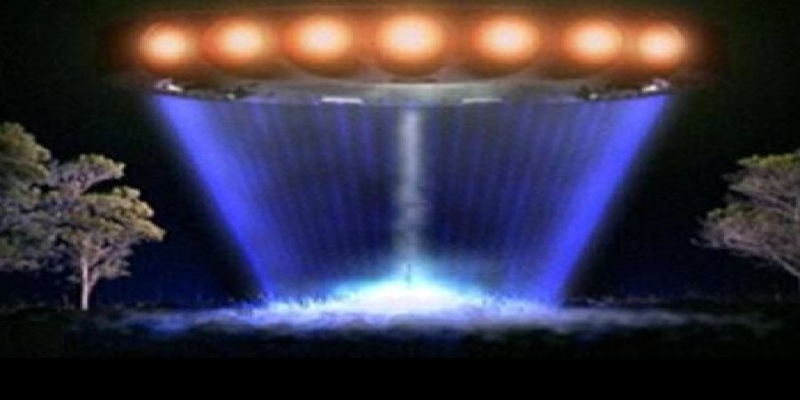 I remember seeing some of the detail of the craft but immediately after seeing it I had a hard time remember the little details like what color the lights were, etc… I believe, but am not certain, that at least one of the lights was red, and at least one of the lights was white. If I remember correctly, two of the lights were the same color and one was a different color. I called for my fiance who jumped up onto the couch with me. While she saw the aircraft and confirm that it was indeed a flying object that I witnessed, by the time she saw it, and it was far enough away that all that could be seen were the lights. NOTE: The above image is a rendering. This case is under investigation by State Section Director Robert Spearing of MUFON New Jersey.